I am sure many of you know this by now, but the baby corn (also know as candle corn) used in many asian dishes with an occasional appearance on a relish tray or salad bar, is actually young (AKA baby) corn. Baby corn or candle corn is a cereal grain taken from corn (maize) harvested early while the ears are very small and immature. It typically is eaten whole–cob included—in contrast to mature corn, whose cob is considered too tough for human consumption. 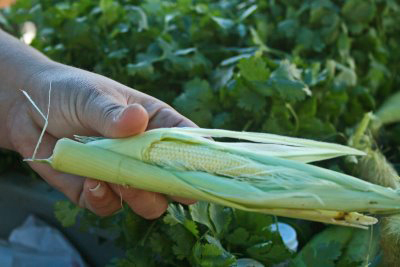 Baby corn is eaten both raw and cooked. I still prefer mature corn.